With Elyse Schuerman of "Girls Night Out"
​Prerequisite: Completion of Zen of Improv 2 or the level two equivalent from another comedy school. Prerequisite: Completion of Zen of Improv 2 or the level two equivalent from another comedy school. About Your Teacher: Elyse has been a performer, director, instructor, and managing director. She performed in the Del Close Festival and The Scene, both in New York and at the Chicago Improv Festival. Elyse has studied under Master instructors such as Joe Bill, Susan Messing, Mick Napier, Todd Stashwick, and Keith Johnstone. 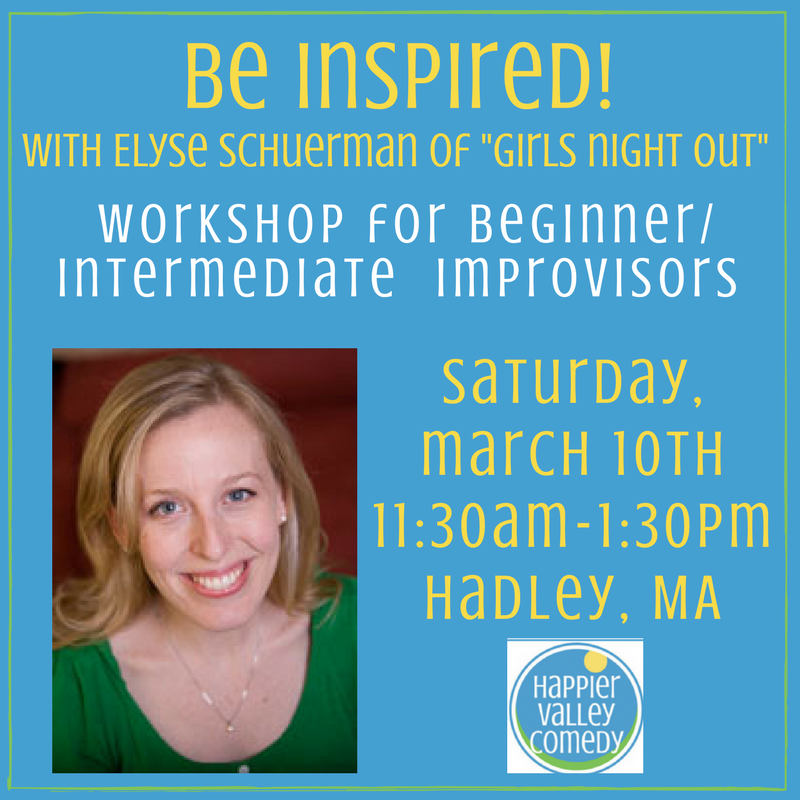 Elyse has taught adults at ImprovBoston and ImprovNashville and young students throughout Massachusetts. Elyse graduated with a BA in Theatre and Education from Flagler College in Florida. She is currently a producer of the Women in Comedy Festival.